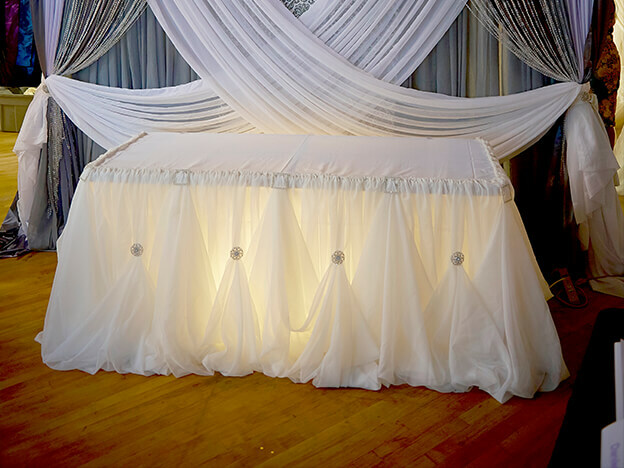 When design a wedding or event one of the most important aspects is the ceiling draping & decor. 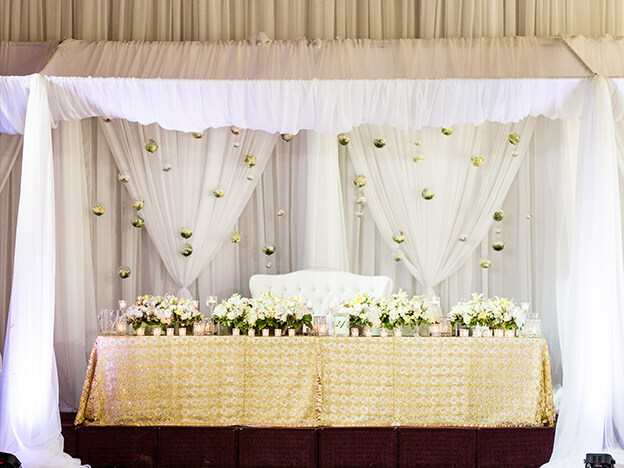 Depending on the venue and desired atmosphere, adding ceiling draping or decor can vastly change the look and feel of the event. 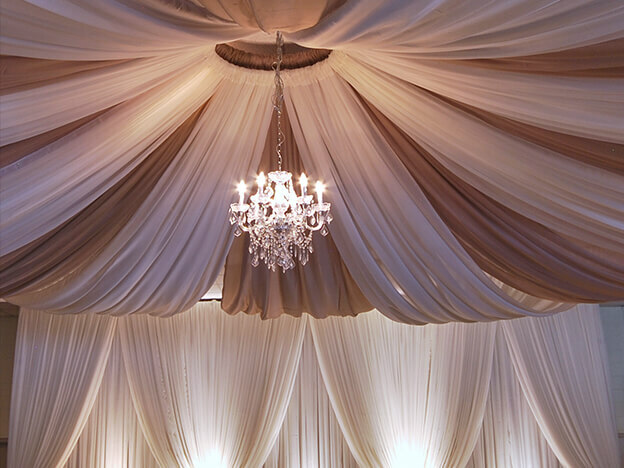 By adding a low hanging linear draping you can make larger rooms feel more intimate and cozy, while a full starburst ceiling draping can add a flare of grandeur. 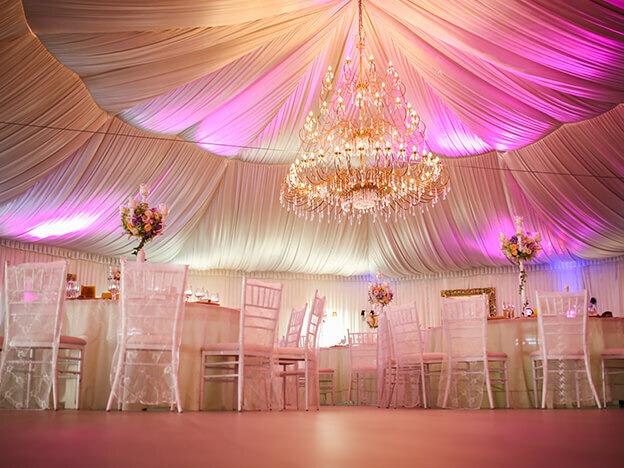 Ceilings can also be enhanced with accents & lighting, such as oversized chandeliers, to give the event an extra touch of luxury. 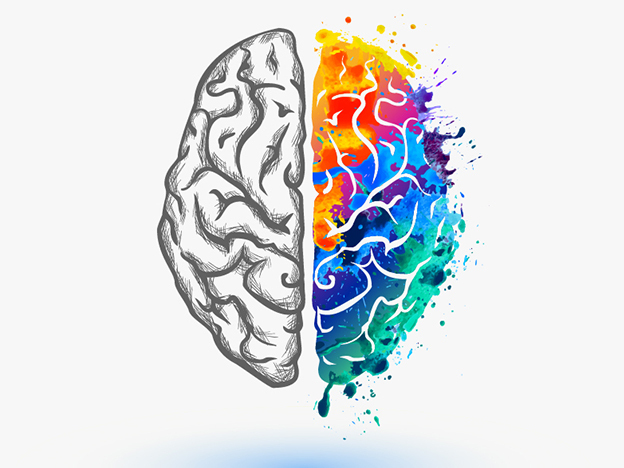 Whatever you decide for the ceiling, it is very important you have the correct tools, hardware & techniques to execute the design in a safe and efficient manner. 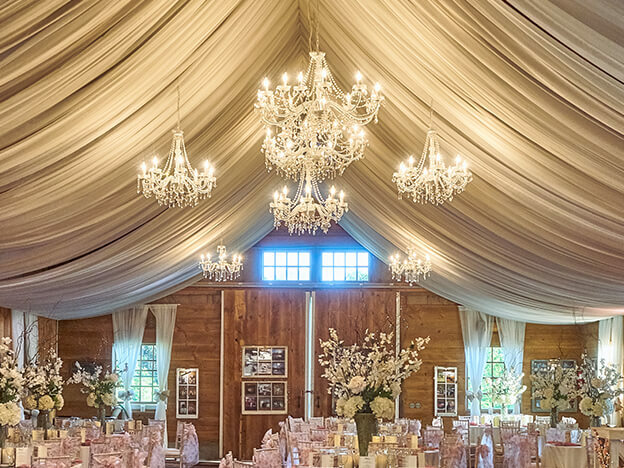 Whenever planning a ceiling draping, you’ll want to ensure you do your research by visiting the venue, identifying potential connection or support points, measure ceiling heights, and discussing the proposed design with the venue manager. Finally, you’ll want to ensure you have the correct ladders or skyjack to reach the ceiling! By the end of Unit 2: Ceiling Draping & Hardware – you will have all the skills to effectively design, plan & execute a variety of ceiling drapings & ceiling draping alternatives! Ceiling Hardware: Refers to the various tools necessary to execute & install a ceiling draping. Mag Mover: A tool used to install Clik-Clik magnets onto ceilings to hang things such as fabrics, balloons, Chinese lanterns & more. Clik-Clik Magnet: The magnet used in conjunction with the Mag Mover to install ceiling decor. Starburst: A Type of ceiling draping that looks like a starburst, with fabric originating from a central point and expanding outwards. Linear Ceiling: A type of ceiling draping that is executed in a linear fashion. Canopy: An alternative to ceiling draping that still provides a covering of a specific area with fabric. 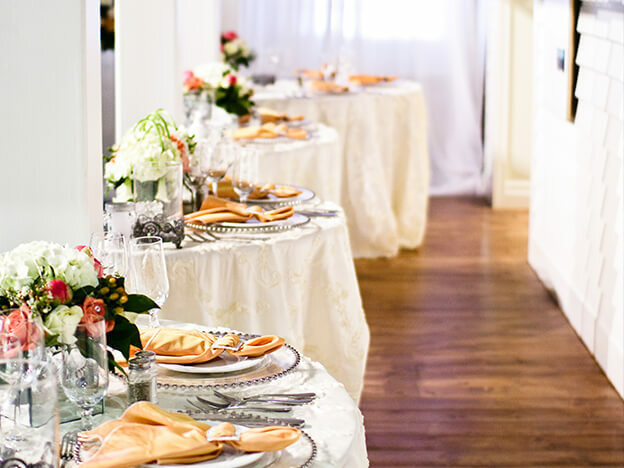 Head Table: Refers to the table at which the bride & groom sit. 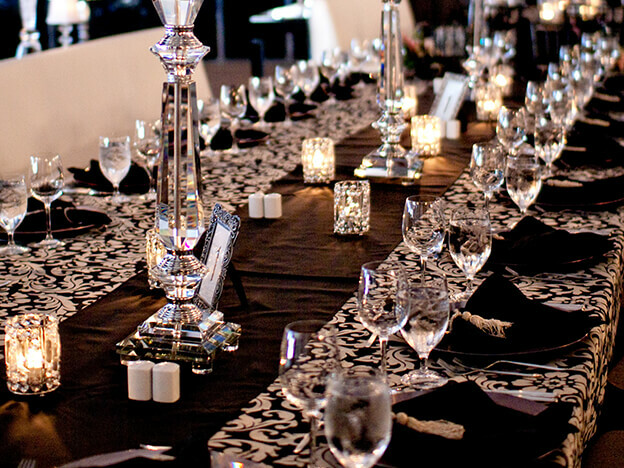 Cinderella Skirting: A type of table draping that uses sheer voile and buckles or broaches to create a specific look.